+ 8 = 15 Required Please enter the correct value. 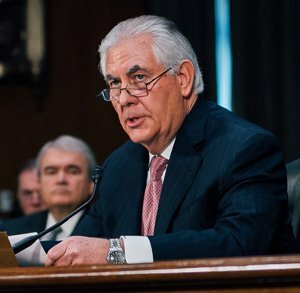 Secretary of State Rex Tillerson just called for the United States and India to expand their strategic ties in the South China Sea. Yesterday, the former Exxon Mobil CEO brought up what he referred to as his vision of an "Indo-Pacific order," stretching from the U.S. West Coast to India, reported CNN today. This order would be underpinned by the United States and its Pacific allies, which include India as well as countries in the Association of Southeast Asian Nations (ASEAN) like the Philippines, Malaysia, and Vietnam. Tillerson described the U.S.-India relationship, in particular, as one between two "increasingly global partners" who share both an "affinity for democracy" and a "vision of the future," reported BBC News on Wednesday. Indeed, the United States and India share goals of security, free navigation, free trade, and fighting terrorism in the Indo-Pacific waters. 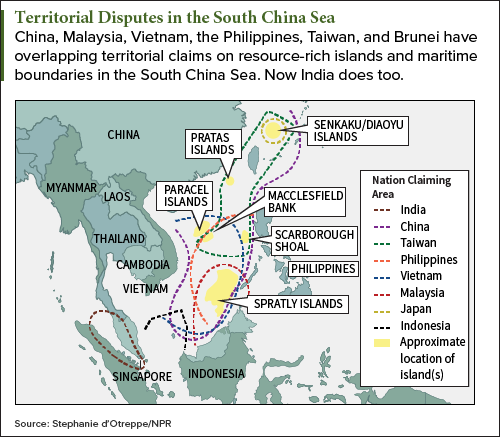 Subverting China's sweeping sovereignty claims in the South China Sea. India has recently claimed a vital South China Sea trade route for itself, and the United States wants to press the advantage. The Strait of Malacca – a waterway between Malaysia and Indonesia that, at its narrowest point, is only 1.5 nautical miles wide – plays host to over half of the world's commercial shipping. Furthermore, 25% of the world's sea-traded oil runs through this strait, which makes it one of the world's most noteworthy strategic choke points, as well. And just this year, India challenged China's claim to the Strait of Malacca. India sent warships to secure this region in April. And in May, India conducted joint military exercises with Singapore in the strait, "reneging" on previous promises not to provoke China on the sensitive issue of regional sovereignty. "India had promised not to take sides and provoke China on the South China Sea disputes. But the country is reneging on its promise by conducting such major drills in the area," Song Zhongping, a Chinese military expert, said, according to the state-run Global Times on May 22. And now, mere months after India claimed control of the Strait of Malacca, Tillerson is pushing an "Indo-Pacific order." The Secretary of State's declaration suggests that the United States intends to establish a presence in the Strait of Malacca so it can push for free trade across the entire South China Sea and beyond. It will likely do so by sending U.S. warships to the strait to conduct freedom of navigation maneuvers (FONOPs). These maneuvers are already happening – and have been for some time – around ASEAN nations in the South China Sea. This could work, but it could also get ugly – fast. I am not seeing any tensions between China and the US. There may be tension in the future. North Korea may be a trigger. If it happens market will be badly affected. My advise is to keep away from the risky trade for some time. I hope the USA sailors have passed their driver license exams to navigate their ships in this area. Do not want the US sailors to crash into Chinese warships.